In a week filled with mac and cheese, it’s good to have something green to balance out the pasta-carby-cheesyness. 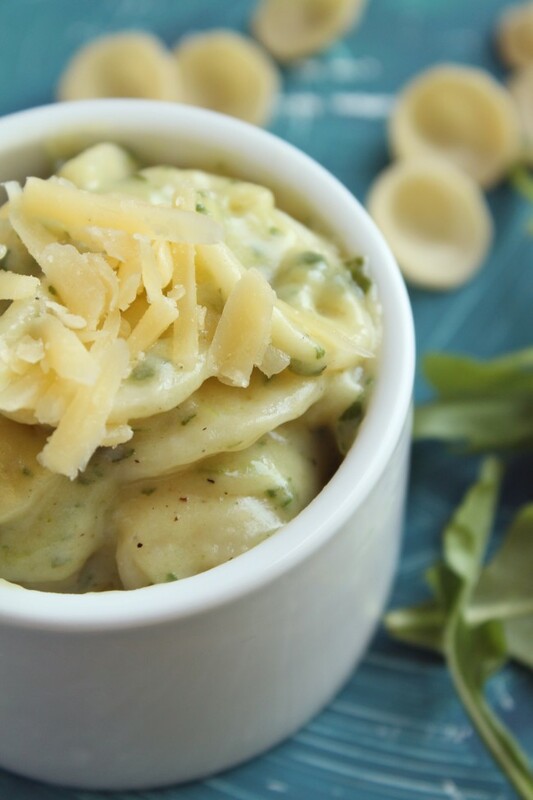 Even if that something green is mixed in with yet another batch of pasta-carby-cheesyness. #sorryimnotsorry. OH, and SPEAKING of hashtags (#), I caved to the social media frenzy this week. Life As A Strawberry now has a Twitter (woooooo!) Follow me at @lifeastrawberry – I promise I’ll be real funny. Expect to see a social media add button soon – I’m in the middle of a MAJOR blog design overhaul and am really excited about bringing a new look to the site! (There may even be a Christmas cookie post to celebrate. Y’know, to wash down all that mac and cheese we’ve been eating all week). SPEAKING of MAC AND CHEESE, we’re now on DAY 4 of MAC AND CHEESE WEEK! (Yes, all those capital letters were necessary. I LOVE CAPITAL LETTERS). I can’t believe it’s almost over – but we have one last mac and cheese recipe comin’ down the pipeline tomorrow. And it will blow.your.mind. (I hope). But in the meantime, here’s another super-duper twist on the world’s greatest comfort food. 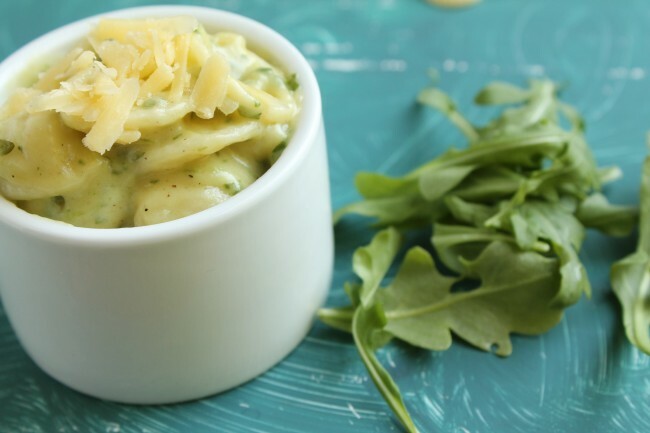 The arugula and white cheddar in this mac and cheese give it a nice, arugula-y bite and a sharp, deep flavor, while the white wine in the sauce lends a nice, crisp burst of flavor. If you’re not an arugula fan, you could easily substitute basil or spinach for a softer flavor with the same great color. In a large saucepan, melt butter over medium-high heat. Whisk flour into the butter to form a roux and cook for 1 minute. Whisk wine into roux a little at a time until you’ve worked out all the lumps. Then whisk in milk. Bring sauce to a simmer and cook, stirring frequently, until mixture has thickened, about 6-8 minutes. 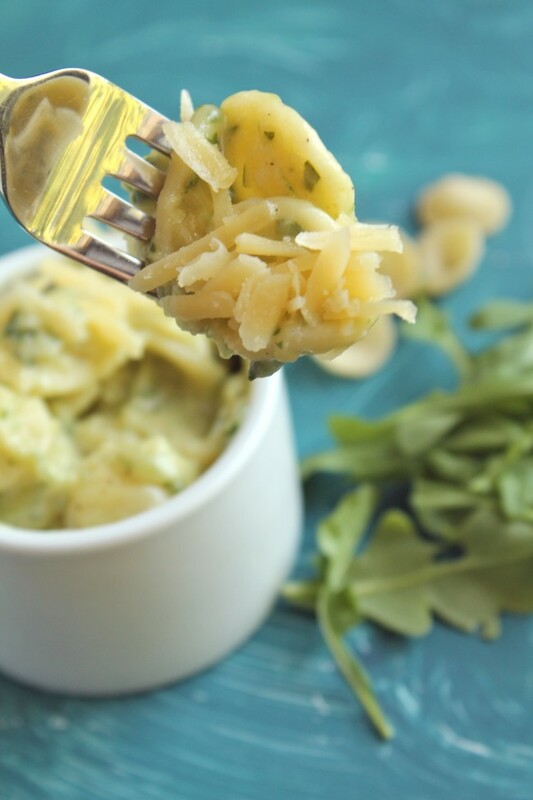 Whisk arugula pesto into sauce. Simmer for another 2-3 minutes, until sauce has thickened again. Remove sauce from heat. Stir in white cheddar cheese and pepper. Mix until cheese has melted. Add pasta to sauce and toss until pasta is evenly coated. Serve immediately. MAC AND CHEESE WEEK LINEUP!! 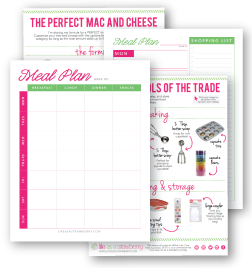 Friday – Hard Apple Cider Mac and Cheese. With Bacon. i have some left-over lobster that i would like to add to a mac and cheese. which of these recipes do you think would work best with a little lobster? I actually have a lobster mac and cheese recipe that it would taste great in! This came out horrible.cheese didn’t melt. Didnt work. I’m sorry to hear that! I make this mac and cheese all the time with no problems, but in my experience, when cheese doesn’t melt it’s usually because of the type of cheese I am using. 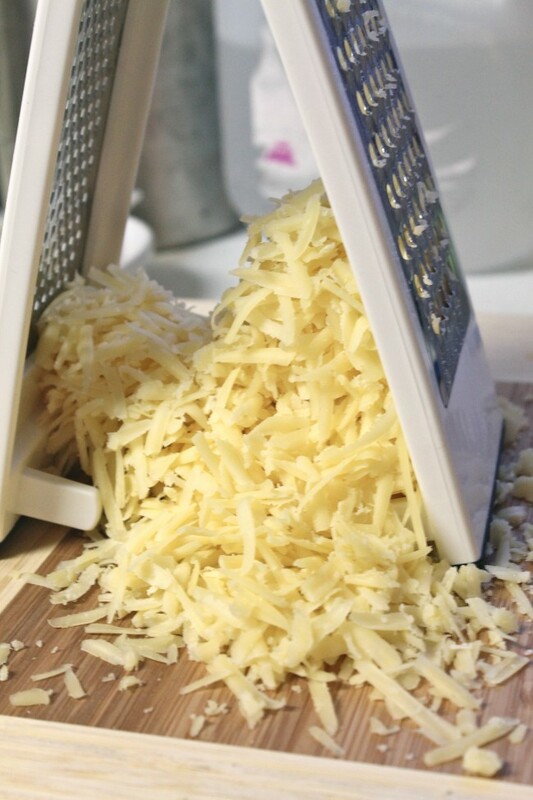 Some varieties, particularly pre-shredded cheese, are coated with chemical preservatives that prevent the cheese from melting smoothly. I have good luck with Kerrygold, but some other varieties haven’t been as smooth for me. 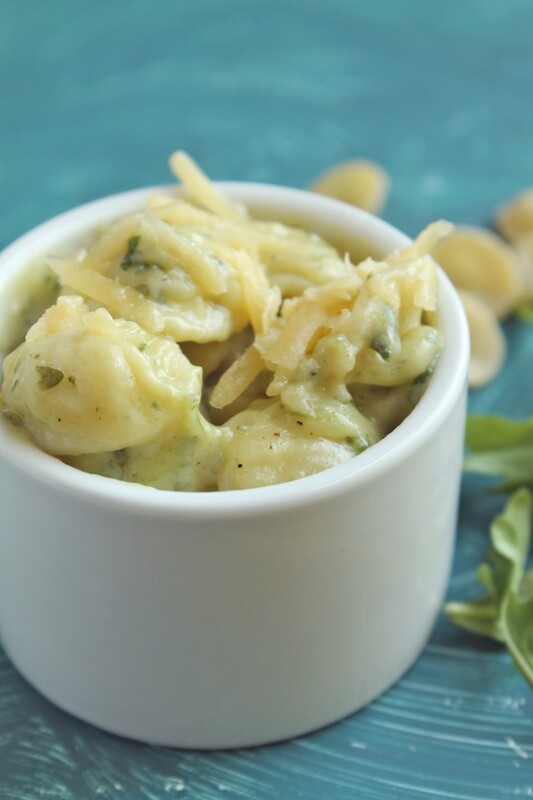 This recipe can also be affected by the oil content of the pesto – I like my pesto quite thick, so there isn’t a lot of excess oil in there, but occasionally I’ve used very runny pesto that hasn’t blended in with the sauce as well. I hope that you’ll try another recipe and that these tips are helpful! This was the best thing I have ever tasted! 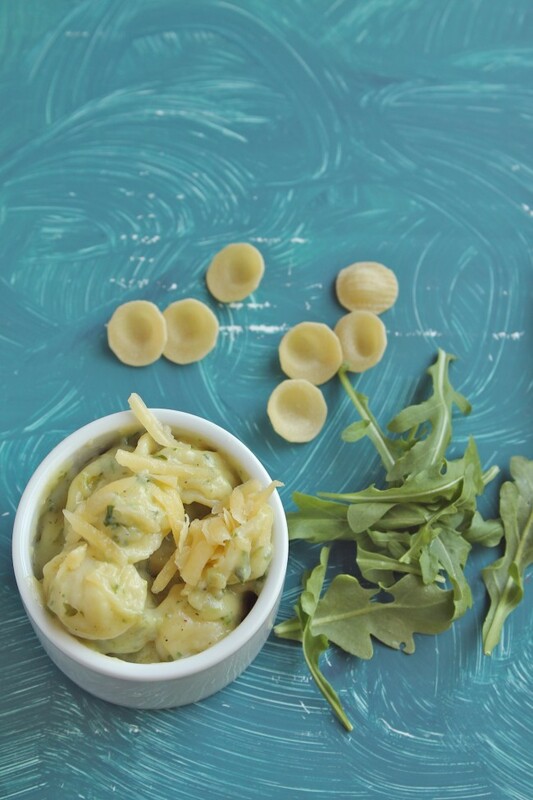 I already had a love affair with arugula but I consider this dish a food group. You are a genius!